Place the paprika and fennel seeds in a large bowl and mix to combine. Add the chicken and toss to coat. Add the buttermilk, mix to combine and refrigerate for 30 minutes. 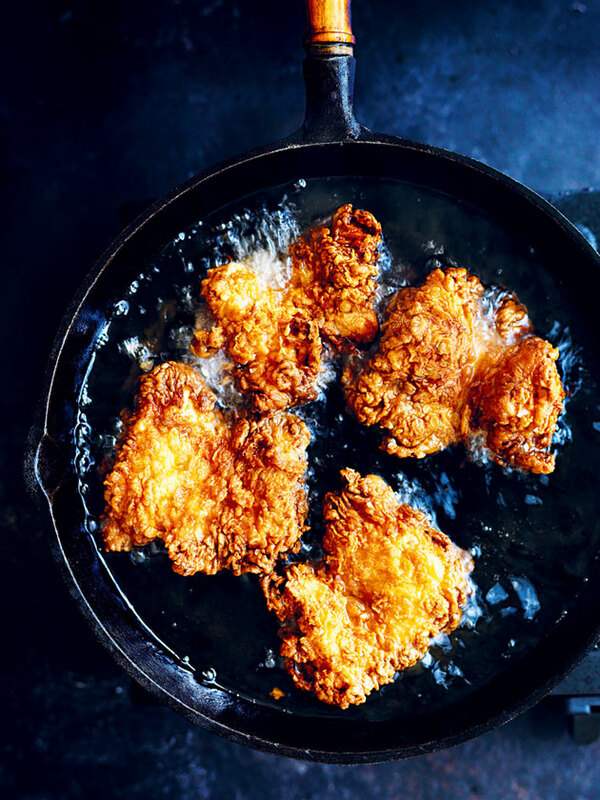 Fill a large saucepan two-thirds full with oil and place over medium heat until the temperature reaches 180°C (350°F) on a deep-frying thermometer. While the oil is heating, place the flour, baking powder, salt and pepper on a large tray and toss to combine. Remove the chicken from the buttermilk mixture, allowing any excess liquid to drip off. Place on the tray with the flour mixture and toss to coat evenly. You can also combine the flour mixture in a large zip-lock plastic bag. Seal and shake to coat the chicken. To keep the chicken warm before serving, place it on a baking tray in an oven preheated to 140°C (275°F). Love this recipe! Sooo yummy. If you go on Donna’s YouTube channel, she gives you extra tips like scrunching up paper towels to drain the excess oil. 5 stars.